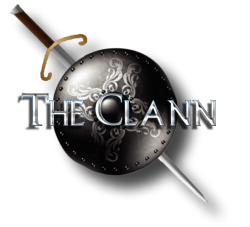 The Clann was formed in the late summer of 1985 by like minded Scotsmen and Scots women to promote, preserve and create awareness for Scottish Culture and Heritage. In a relatively short period of time we achieved our initial aim in creating one of the finest living history societies in the country. From a few members we have grown to an organisation known and respected throughout Europe for its professionalism, authenticity and very high standards of skill in the use of period weapons with our priority being safety at all times. All this has been achieved by study, research, training and great pride in what we do. The Clann has over the years built up a fearsome reputation. Not only are they Scotlands top fight display team, but are also Europes most entertaining and authentic sword and combat group, performing in Scotland, England, Wales, Brittany, France, Belgium, Netherlands, Hungary, Austria, Ukraine, USA and Italy. 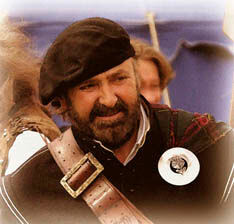 The Clann has made many friends in all parts of the world who support their efforts to educate and entertain the public using an unique blend of visual and satirical humour to educate and promote Scotland's rich and varied past. The Clanns aims and goals have changed and grown over the years. We are now involved in film, television, theatre, corporate entertainment, education, community productions and historical festivals, providing a wide range of services from technical support, costume design, props, fight & stunt arrangements to historical research. We have our own production company producing and participating in period films and an entertainment company providing a full package for any event indoor or outdoor. If you would like to find out more about The Clann and about how they can make your event spectacular, memorable and unique, please get in touch.